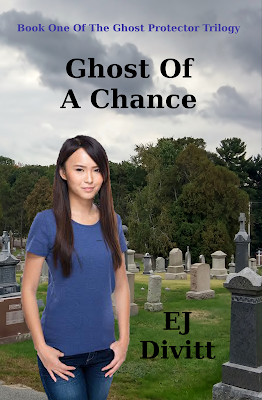 A few days ago, I sent the manuscript for my latest book, Ghost Of A Chance, to Amazon for inclusion in their Kindle Scout ebook publishing imprint. If you are not familiar with Kindle Scout, this is how it works. Readers vote to nominate books for publication. If the book wins, everyone who nominated the book gets a free copy of the ebook. Don't worry if you don't have a Kindle. You can download the free Kindle app and read it on any computer, phone or tablet. I just got an email saying that my book passed the first test and is being added to their site for readers to vote on it. If I get enough votes and the people behind the scenes at Amazon like the book, then I get a publishing contract with Amazon's Kindle imprint. I am in a strange place emotionally. I am hopeful but trying not to get my hopes up. I am wishful and trying to be realistic. I worked hard on this book and everything that went with it. It feels like handing Amazon a piece of me and telling them to vote on it. I'm telling myself that there is very little down side. It's like this. Ghost Of A Chance is the first book in my new paranormal fantasy trilogy. I have finished the first draft of book two and I am working on book three. If Amazon picks up this first book, I will be dependent on their publishing schedule for the next two in the trilogy. If they don't pick it up, then I have put everything on hold for a month and a half for nothing. Still, what's a month, really? If this works out, it will be worth the delay and if it doesn't, all I've really lost is time. I was already going to work hard on these books. I was already going to write book two and book three. Now I'm just going to do all that while patiently waiting until after the votes close on November 20th. So are you interested in a free ebook? Want to see how I am doing? You can check out my Kindle Scout nomination here.